"Java: write once, debug everywhere." 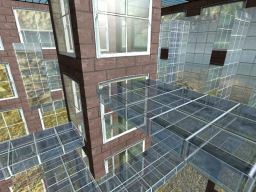 Any new cubemaps in the foreseeable future? Sure, I have a bunch in the pipeline. Does this technique works for all kind of static mesh and give a big boost in performance because BSP is also used mostly to clip the geometry to win lot of performance in a big static mesh which represent the static part of the scene in one geometry if i'm right. I'm not well experienced with all these kind of optimization so maybe you could give there hints about all that, is it good to use BSP tree for the full static part or have all splitted object and use one octree is better ? this is a clever trick to make sure that all triangles are drawn from back to front. This is required because the scene has transparent elements, so we need to paint the from back-to-front. But in this case, the whole geometry is one mesh, the trick is, that the Index Buffer gets recalculated, so that the order of the triangles in the mesh will match the required back-to-front order. It would be interesting to implement his optimized method on your data (or some another realistic data set) to compare BSP traversal with atomics performance. There is some strong need for robust OIT implementations. I also have some sort of OIT implementation for motion blur and depth blur cases, it does not work with alpha transparent textures. I have some plan to implement alpha - transparent textures too, (future work), and looking around for state of the art methods to do it in a right way. How are the cubemaps going? Any progress?